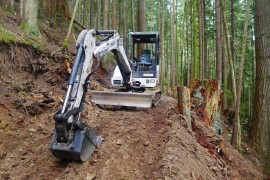 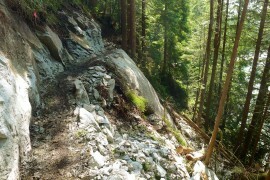 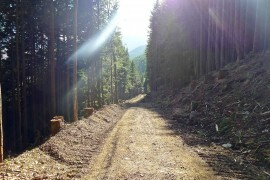 The Pratt Connector trail construction is roughed in all the way to the connection with the Pratt railroad grade. 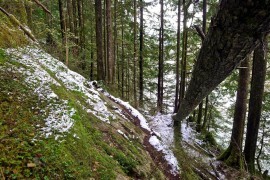 In this section a new trail has been blasted into the rock buttress where the old one dipped below it. 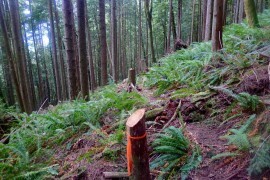 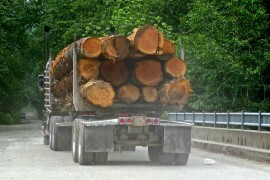 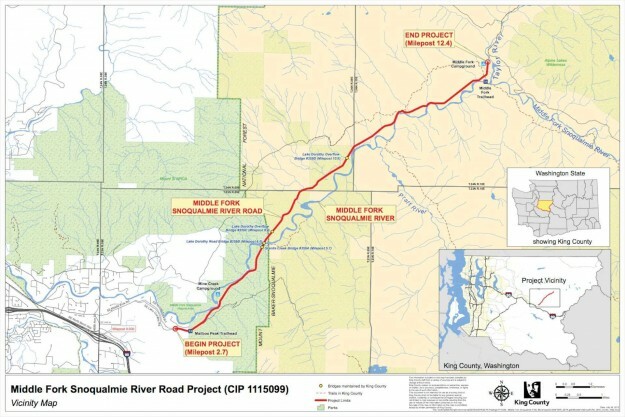 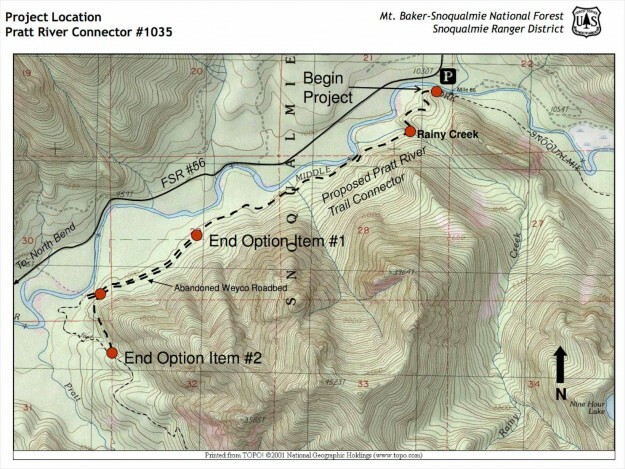 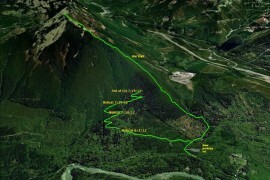 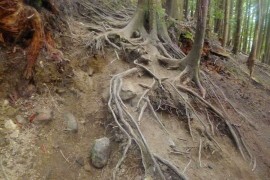 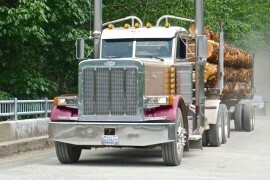 This entry was posted in Pratt River and tagged new trail, USFS on 2012/07/10 by mvanderbilt.